Blinc is proud to introduce its latest innovation in liquid liners with the Blinc Ultrathin Liquid Eyeliner Pen. 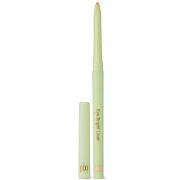 This remarkable eyeliner boasts a brush of only 0.00876mm, the most precise brush available in the cosmetics industry. This allows it to provide the thinnest, most exact line possible, allowing for unparalleled versatility. Blinc Ultrathin Liquid Eyeliner Pen cannot fade, smudge or run, even if you cry or rub your eyes. It glides on smoothly and the ultra fine brush provides for extreme accuracy, allowing you to create virtually any look you desire, from a thin classic line, to dramatic, winged looks. 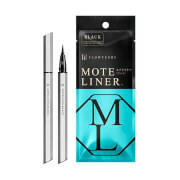 Blinc Ultrathin Liquid Eyeliner Pen is unique in that it features a brush so thin that it allows you to add intense black color as close to your upper and lower lash line as possible. Blinc Ultrathin Liquid Eyeliner Pen is water proof, smudge proof and fade proof. It will take you through your busy day and easily into the night with no need to reapply. Only when you are ready, it can easily be removed with a swipe of gentle makeup remover. Apply to clean and dry skin (moisturizers can affect hold). It is easier to start from the outer edge of your lash line rather than the inner edge. Gently pull the lid towards your ear to get the most even application. To repair clogging or brush hair splitting, stand liner with bottom up for at least 5 minutes. This product works really well for making that perfect cat eye for a night out!